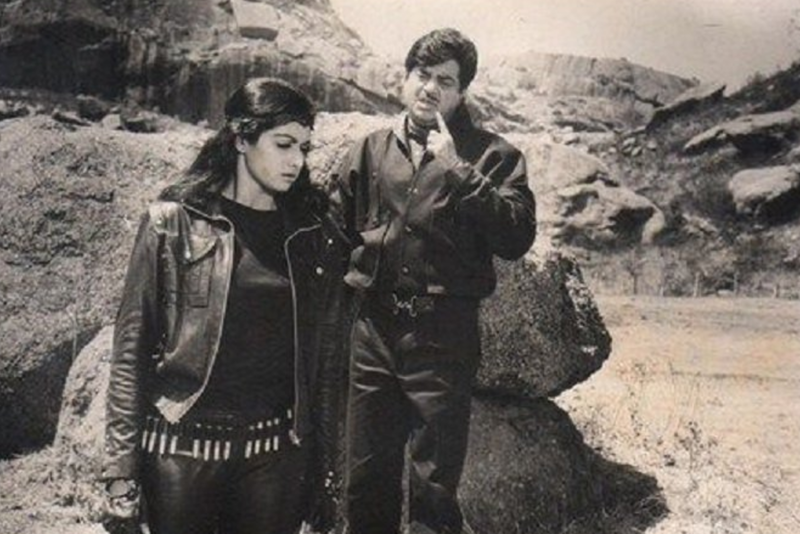 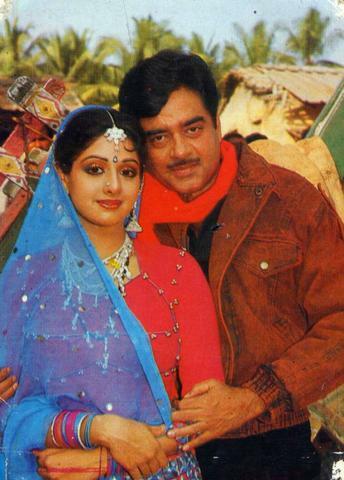 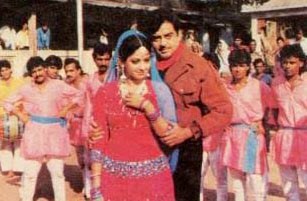 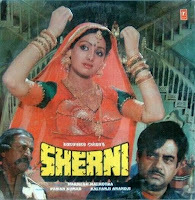 The only film Sridevi did with Shatrughan Singha, Sherni. 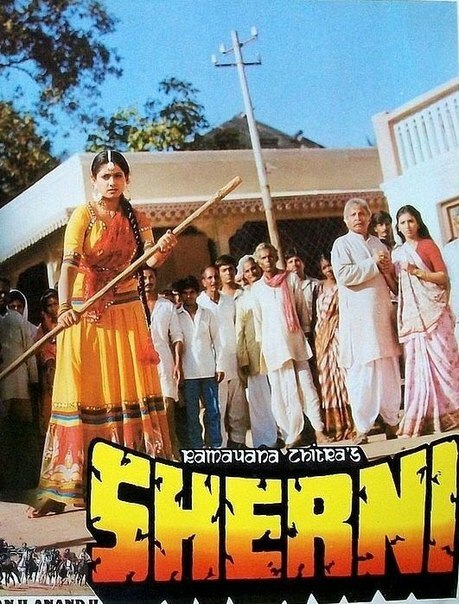 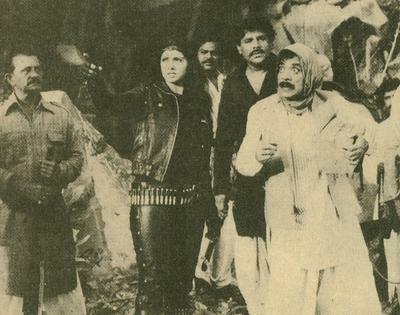 Directed by Harmesh Malhotra (of Nagina fame), this wasn't much of a movie. The low-budget and faulty direction, writing, editing, mediocre music... is all too apparent. 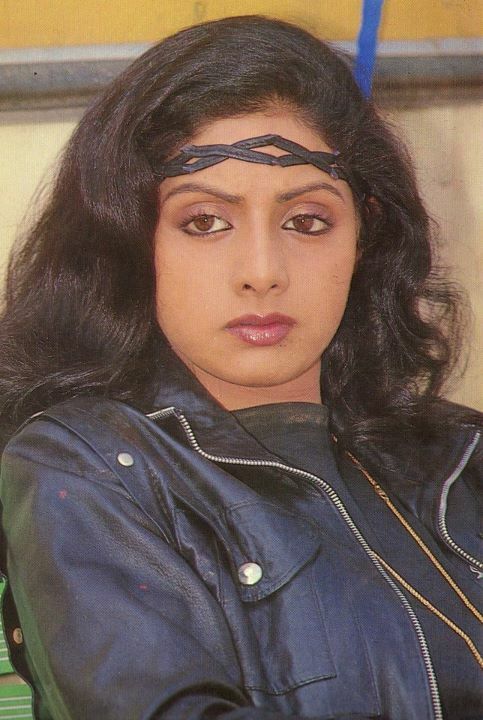 Here is a fine example how Sridevi was often better than the movie she was in. 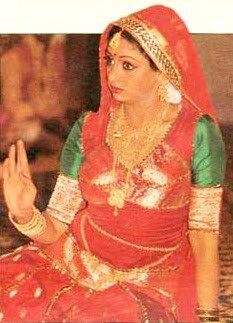 A polished diamond set on a shoe-string. 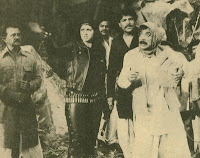 Based loosely on the crime spree of Phoolan Devi (Shekhar Kapoor went on to make the faultless Bandit Queen), the movie isn't great by any measure. 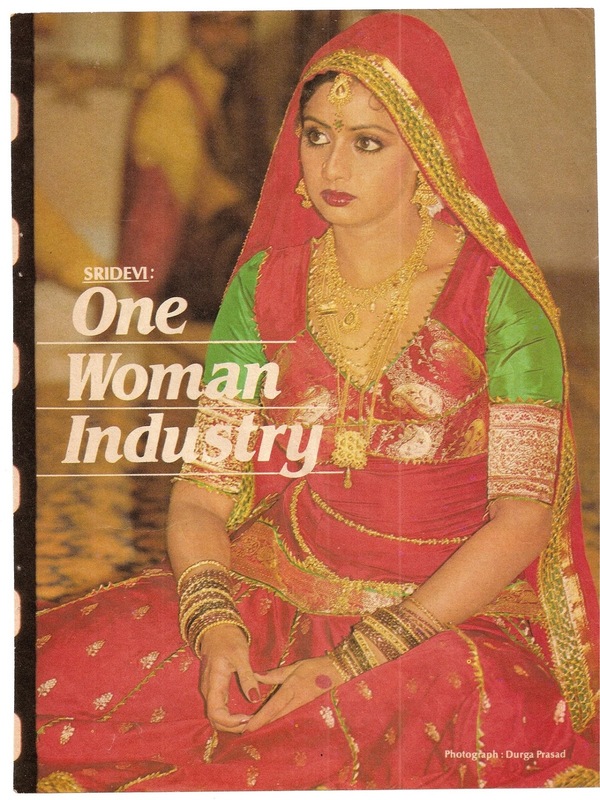 Srdevi's efforts are valiant however... Oh well. 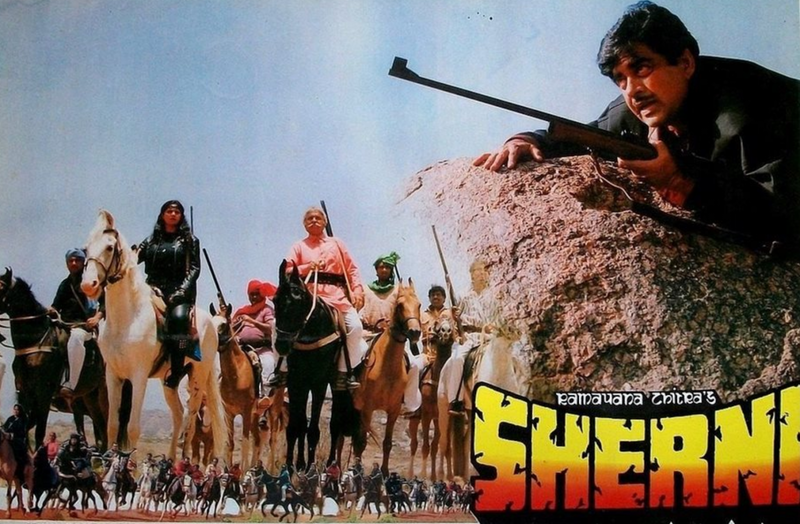 BTW one look at the posters and clearly you know who was the biggest star at the time of the film's release. 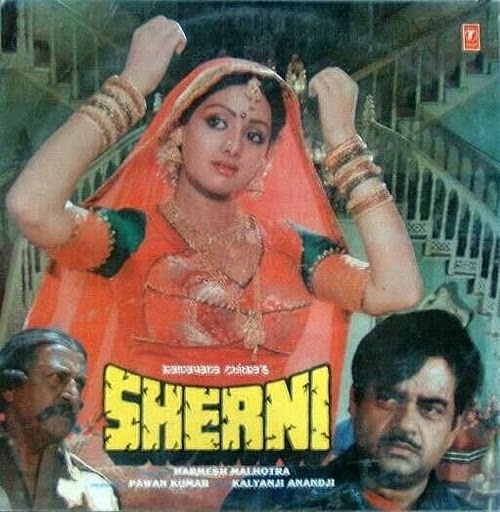 The movie has its own share of fans - including Sonakshi Singha, a self-professed Sridevi fan. 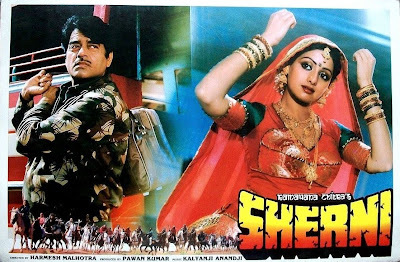 Sad Sherni was a flop but Sridevi Rocks no matter any scene of bandit Queen of Sridevi which was based on similar, earlier scene in a telugu movie called Kanchu Kagada with Krishna. 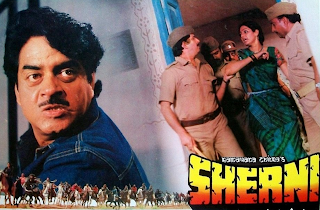 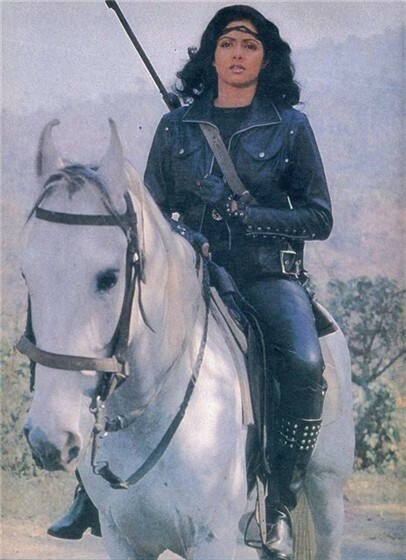 It was super duper hit and Sridevi acting as Bandit Queen gave run for his life(?) 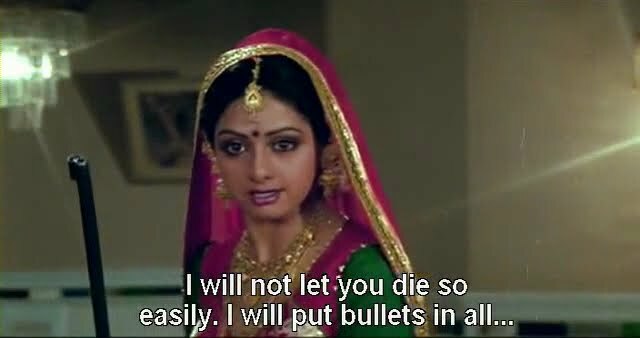 to Amjad Khan in Sholay. 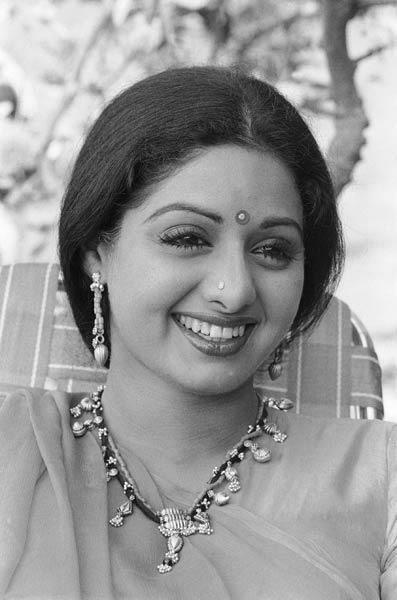 There are many Telugu movies Of Sridevi all Super duper hits some times theyare not as good on Hindi screen for various reasons as it is not easy to remake exactly with sense of humor in Hindi.,and of course script and cast etc as well in the remake. Sherni was not that bad movie, it was not flop either. 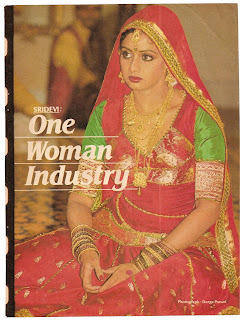 Sridevi was good in the movie and she played the role with conviction, the songs were not that good, compared to directors previous attempt Nagina, this movie was nowhere near to previous product. 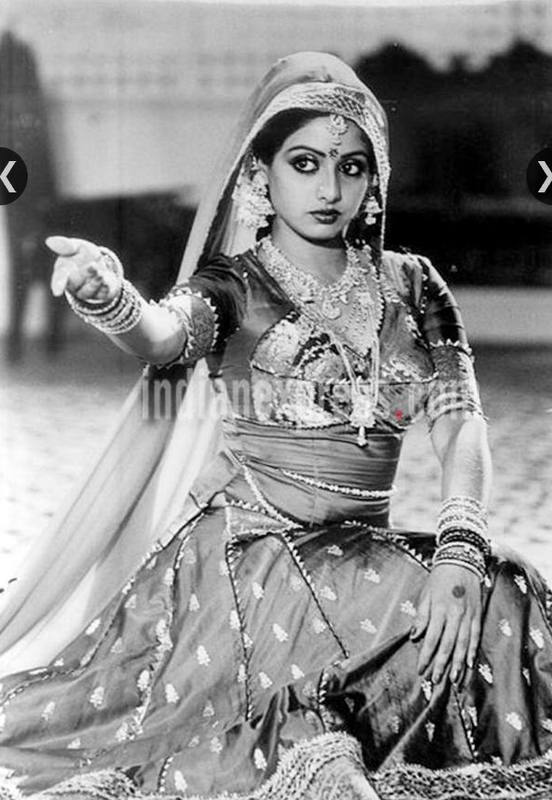 One can atleast watch it for Sridevi, its a different Avtar of Sridevi, I did not regret watching this movie , hope you will not regret.